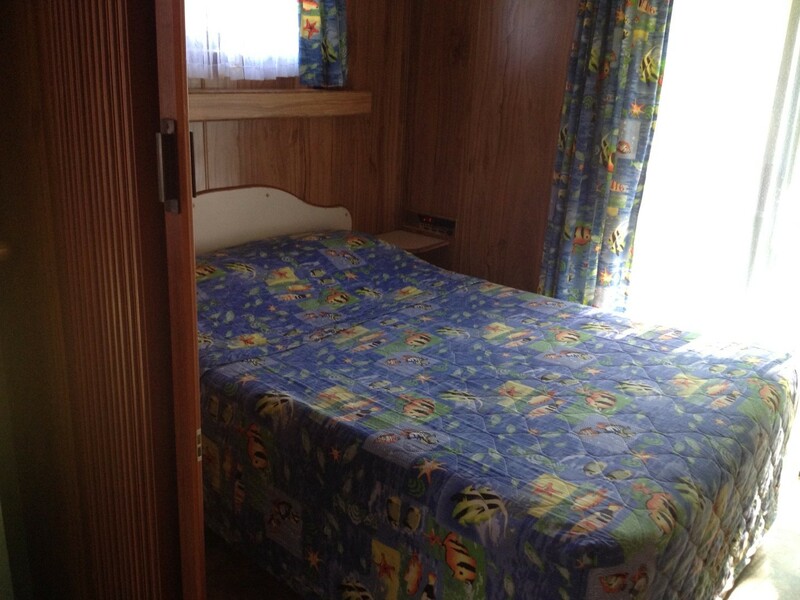 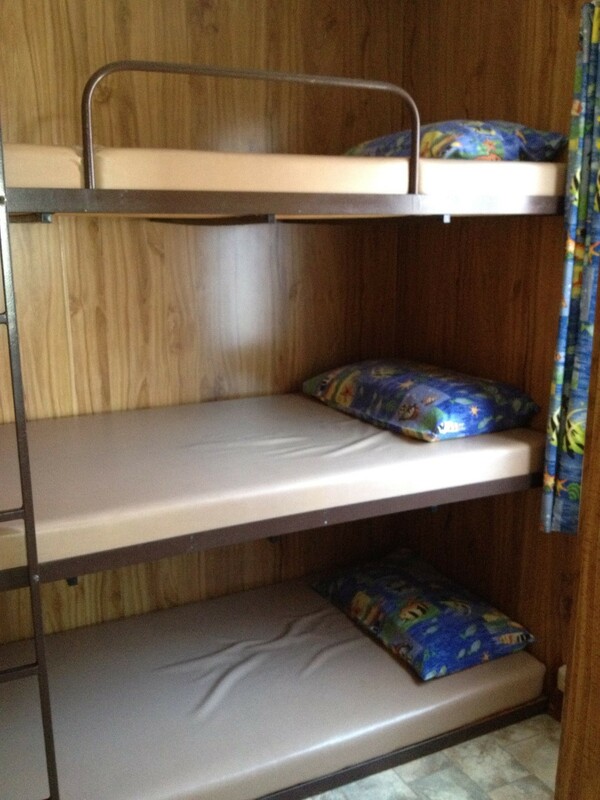 These cabins have a double bed in the main sleeping area and triple bunks in the second bedroom. 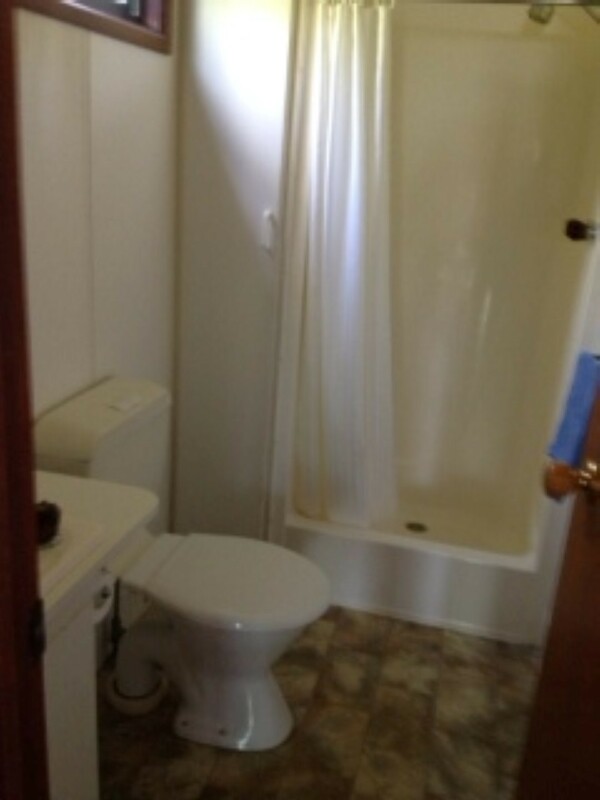 Shower, toilet and handbasin in bathroom. 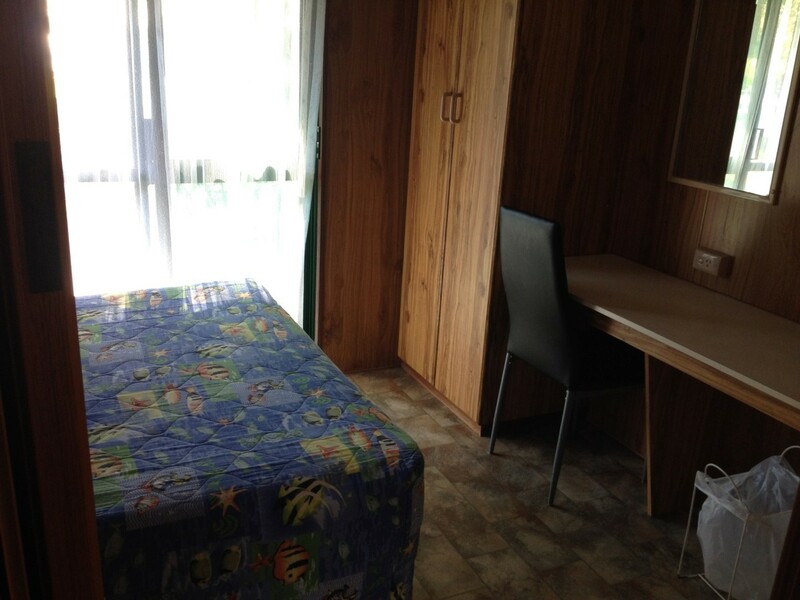 TV and DVD player, ceiling fan, oil heater as well as iron, ironing board and hairdryer. 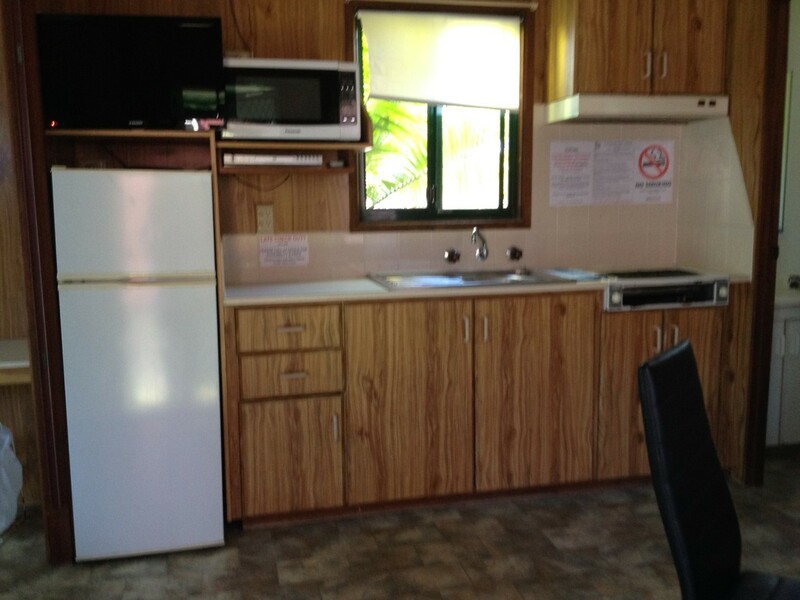 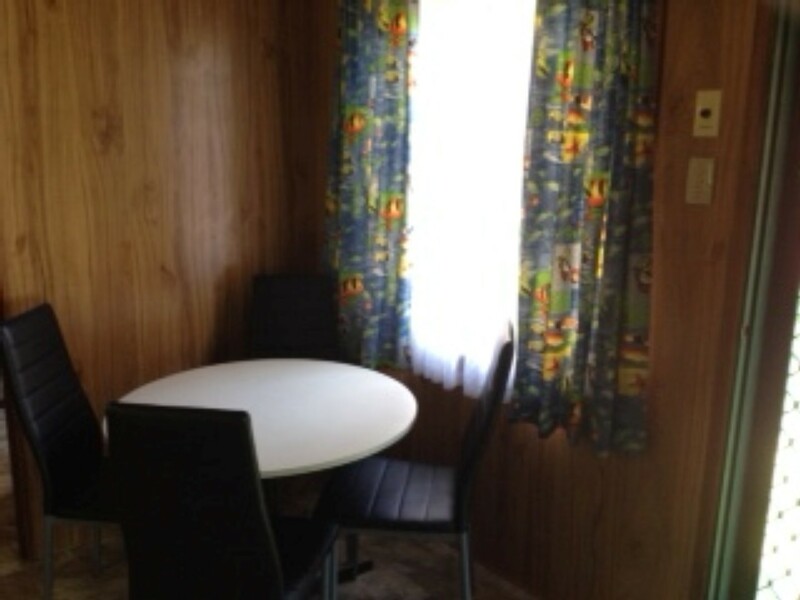 Kitchen/dining area including: crockery, cutlery, sauce pans, frypan, kettle, toaster, 2 burner hot plate, microwave oven and dining table.